A stable income in retirement to help pay expenses and to do the things you've worked your whole life to be able to afford. 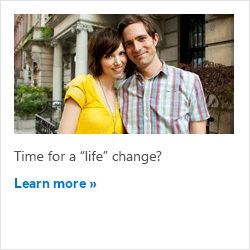 The security of income for life for your spouse, if you die first. Achieving both these goals, while maximizing the amount you receive, depends on how you choose to take your benefit payments. The single life option provides a higher monthly income, but payments end once you die, leaving your surviving spouse without the security of that monthly check. Maximum monthly income for the retiree. Payable as long as the retiree lives — whether to age 66 or 106. Nothing left to spouse at retiree's death. The joint and survivor option generally provides a lower monthly income, but it provides your spouse with that income for life, should you die first. Reduced monthly income to retiree. Reduced benefits continue to the spouse at retiree's death.